One though for Fonik - could you think of leaving a larger footprint area, with perhaps multiple pinouts, (as the late Jurgen Haible did on his PCBs), for the timing caps. I have a lot of High quality 2n2 polystyrenes, (and yes - I will give batches of then out for postage), but I couldn't get them to fit. 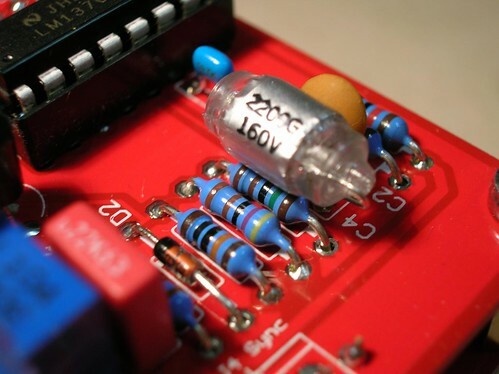 I just squeezed some 2n2 polypropylenes I had in stock into place, and I will try the COG's in future, but I think a little more flexibility in the capacitor area would be a good idea. i get you point, and i will consider this for new designs. in fact i did it for the PS3100 resonators. I'm interested in two of the main pcbs. btw, 4046 vco are working! Thank you Matthias! and T.H. of course! And one more question,do you have some spare Controller LFO pcb/panel left? i should engage.. I know its late in the day, but I only just arrived at this particular party! Any pcbs left by any chance? Hi Fonik, Just to check was my order of 3xmain PCBs and 4xeuro PCBs included? order for the 12 pcbs arrived safe and well from Wiesbaden by Luftpost to Sunny Scotland. Please put me down for 2 boards please! I got one batch from 'Magic Smoke Eectronics' and the others from Farnell, but it seems they only have the 2K ones in SMT, now. I future I will be using the SMT ones because it's easier to get a closer bond the to the transistor package. The could even be mounted inside an IC socket to get a close contact with a socketed dual pair, and to avoid the effects of drafts. TheProf, how did you match the transistors? I've never done it before. maybe Ian Fritz' easy and elegant transistor matcher (look for at least less than 2mV, super matched pairs are more in the max 200uV region though). i will add you to a waiting list if you don't mind. Can I get on the waiting list too? I still want 2. Great! I'm interested in the LFO and the ADSR as well so if it's possible with a waiting list there too I would be happy! I'm highly interested in 2 PCBs! I'd love to get on that waitinglist, will you e-mail when the PCBs are available? Hey Fonik, i managed to get hold on 3 of your PCB and frontpanel sets. greath work. and good quality. I am interested in more 3 or 6 more sets. are there new runs planned?? i could think of asking fo interest in all 3 th projects (VCO, LFO, ADSR) in january. i already sold quite a few of these PCBs/Panels and we will have to see if there was enough interest to justify a panel run. 2X circuit PCB's for me please. About r25. Here you say 300k but on project BOM it says 27k. Which one should I choose? And also - 137k for eurorack, how sensitive is that? 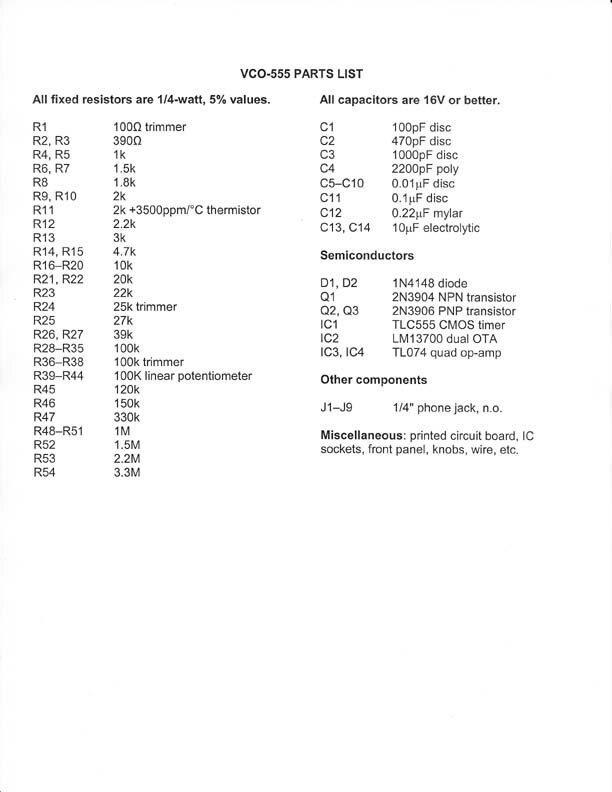 in the original schematic of the VCO from thomas henry we three times a resistor R26, whereas R25 is missing completely. Thanks. Yes, I saw that first post. But you say that it's missing in original but it's not, it says 27k. And you say 300k in that first post. It's quite different numbers too, that's why I ask. I don't know if I misunderstand you?